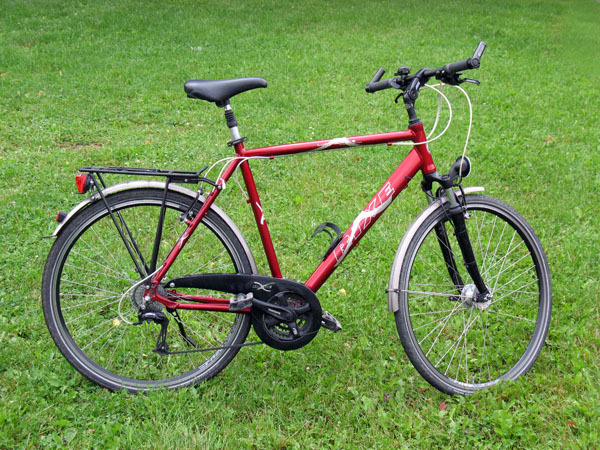 A Mercurio cycling holiday includes a bicycle. This is because we know the difficulties you are faced with bringing your own one and getting it back home in one piece. The bicyles get serviced regularly and meet all traffic regulations. (Don't worry: We mostly ride on dedicated cycle paths without motorised traffic.) On the first day of your cycle tour we adjust your bicycle in order to make your ride as enjoyable as possible. This is also the reason for asking you for your height with the booking. Speaking about heights: Our bicycles fit cyclists from 4'8'' (1.40m) to 6'9'' (2.05m). However, ladies taller than 6'1'' will be asked to ride a gent's bicycle. 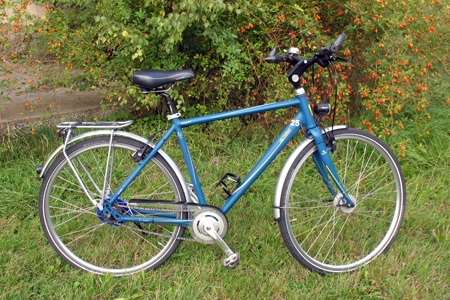 Men being shorter than 5'3'' will be cycling a ladies bicycle (step-through frame). If you want to bring your own saddle or additional fittings along, just do so. We are happy to mount it for you. 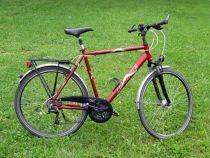 And in the rather unsusual case that something happens to our bicycle, it will be repaired immediately or replaced by a new one. We always bring spare bicycles on our cycling holidays. 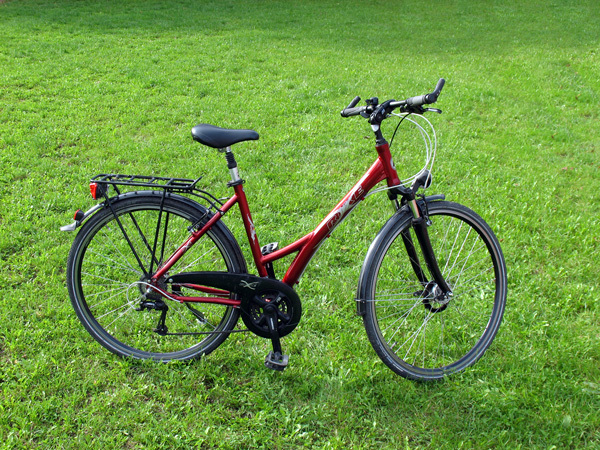 Briefly about the pedals on our bicycles: We use flat pedals (without click-in function, without straps). We do so as 97% of our guests have it this way on their bicycles at home. If you belong to the remaining 3%, feel free bringing your pedal from home. We will fit it before the cycling starts. From time to time guests ask us for having an e-bike instead of a regular bicycle. While offering e-bikes along the Danube in Austria for a long time, we are now able to provide e-bikes on all our guided cycle tours. Feel free to talk to us before booking if you intend to cycle on an e-bike with us. <Contact us> If you like to learn more about our e-bikes, visit our e-bikes page. 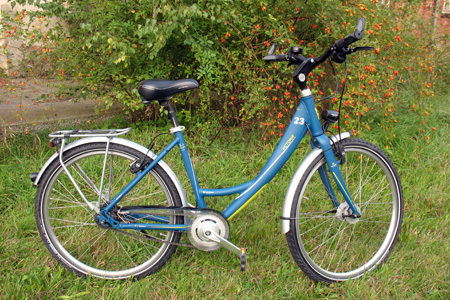 Our bicycles receive first class service from Zweirad Haus cycle shop in Zwickau regularly.